Grasses and plants with similar strappy foliage are textural features in the garden. Vigorous, creeping grasses are suited to covering the ground - especially in trafficable areas - their spreading and durable nature making them suitable as turf for lawns. 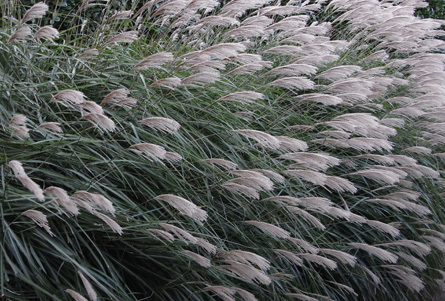 Grasses with a tufting habit are used as informal hedges, accents or specimens amongst other plants. Some are rigid and upright; their silhouettes strong and architectural. Others are soft and arching. With pliable leaves and stems - or feathery flower heads in neutral tones - they make for fluid and graceful massed displays. Their flexibility can make them suitable for and beautiful in windy areas. Bamboos are a type of grass. Their delicate silhouettes and vertical definition are often used to advantage in narrow spaces. Lower foliage is sometimes pruned to feature the erect or arching canes - especially where these hollow woody stems are coloured or striped. Running bamboos have vigorous root systems prone to spreading out of control. Clumping varieties are more suitable where roots can't be adequately contained. Repeat plantings make successful fast growing hedges, screens or windbreaks. 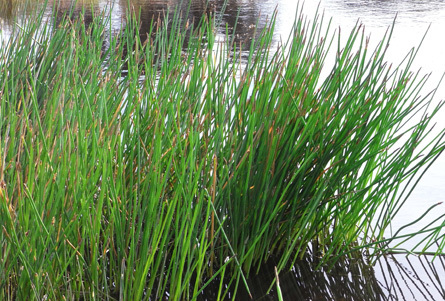 Sedges and rushes are similar to grasses but differ in their leaf and stem structure and are usually tolerant of soils that experience wet and sometimes also dry conditions. Like grasses, their flower and seed heads can be ornamental and their spread needs to be kept in check. Some grass-like plants, though not grasses, also have an upright habit and strappy leaves. Spreading with stolons or rhizomes, they are mass planted for the textural effect of their foliage - which is more likely to be evergreen - but may have the advantage of colourful flowers too. 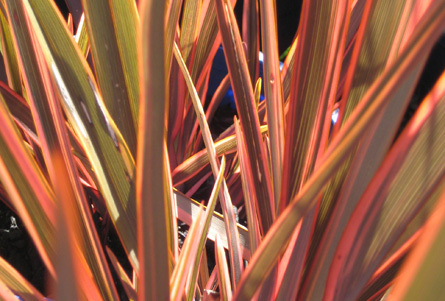 With foliage in shades of blue, silver, brown, red, yellow as well as green - and often changing through the seasons - grasses and grass-like plants can also be used for colour contrasts. 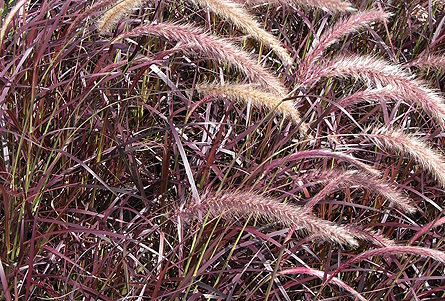 From the many available, there's a grass to complement your garden, whatever its style.